I tried searching but I can't seem to find a similar question so I am hoping that as an amateur, I am just making a big simple mistake. I want to install Font Awesome to my WordPress theme and I want to do it locally. I downloaded Font Aweesome 5.0.9 from the official website and followed their instructions. I placed the fontawesome-all.js file in /static/fontawesome and included this line of code in my header.php. I then tried to create an action with the following code and it didn't work either. For testing I shoved the following code in my main body and header but nothing ever appears. I am unsure why this is not working, I believe I am probably making some crucial beginners mistake here but after reading multiple blogs and trying many different methods I have decided to try and ask for help. 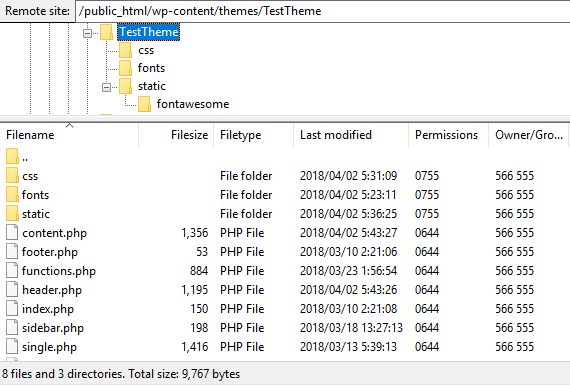 The function get_template_directory_uri(), retrieve theme directory URI and can be used to include files located in the active theme. * Enqueue css and js with the correct path. The action "wp_enqueue_scripts" is used to enqueue CSS and JS files to site. You can edit and try again. //you need to edit this below line. Not the answer you're looking for? Browse other questions tagged functions actions fonts or ask your own question. How to create an onclick event on an image in a post? Font Awesome 5 Free - far working but fas is not? How would I be able to use a font awesome icon as a user's avatar? How do I install a custom local font? How to host Google fonts in WordPress theme locally?